Children welcome, aged 10 years and over. For under 10 years please contact us. Iron and ironing board are available for guests use. Tea/coffee making facilities in all rooms. 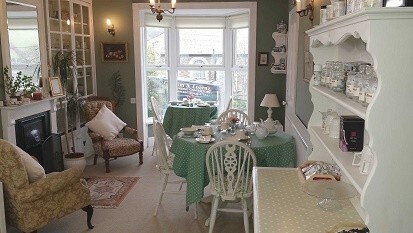 Rose Cottage is a delightful Launceston bed and breakfast. Set in the Kensey Valley close to the River Tamar it has spectacular views of Launceston Castle, Launceston Town and the surrounding Cornish countryside. Minutes from the A30 we are an ideal central base for touring Devon and Cornwall visiting the Eden Project, the NT properties of Cotehele, Lanhydrock, Buckland Abbey and Saltram, the beautiful moors of Bodmin and Dartmoor and the lovely Tamar Valley. A short 30 minute drive from surf beaches, Tintagel, Boscastle and Bude. 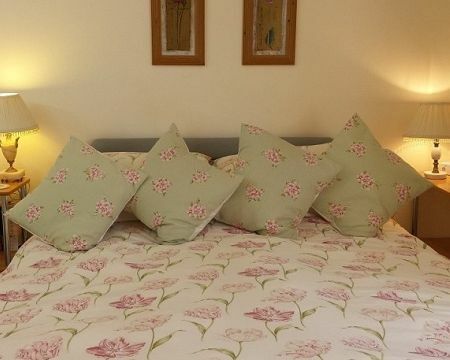 Rose Cottage is gaining an ever growing reputation for comfortable guest accommodation, good food and warm welcome in charming surroundings. We strive to be as eco friendly as possible by recycling, composting and using energy saving policies. Ideally situated at the junction of the Tamar Valley Discovery Trail and the Two Castles Trail, Rose Cottage provides a warm welcome to Walkers and secure cycle storage for Cyclists, especially the â€˜End to Endersâ€™ who find the 4 minute walk to the nearest Inn/Restaurant very convenient. A Luggage Transfer service is available for the convenience of our Walker and Cyclist guests, please discuss your requirements with us. Parts of Rose Cottage date back 200 â€“ 300 years, with additions in the 1880s and 1980s. All rooms are tastefully decorated and comfortably furnished and are full of those small but important personal details such as fresh flowers and quality biscuits and rooms are serviced daily. We have private off street parking for our guests. 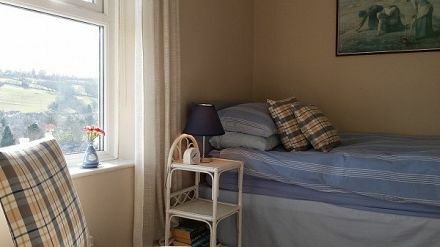 Karen And Adrian provide a friendly, and relaxing atmosphere for their guests at Rose Cottage. Their aim is to provide a high standard accommodation along with wholesome breakfasts using locally produced ingredients where possible. 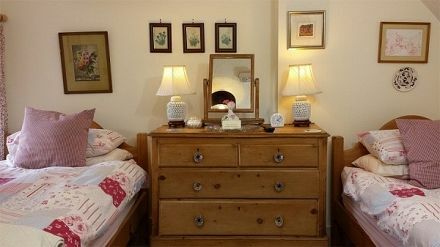 They look forward to welcoming you to Rose Cottage.